Board of European Students of Technology, BEST, is a constantly growing non-profit and non-political organization. 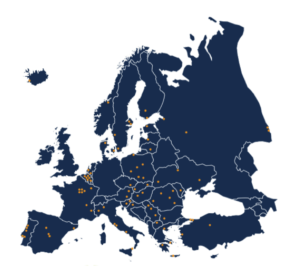 Since 1989 we provide communication, co-operation and exchange possibilities for students all over Europe. Nowadays, 93 Local BEST Groups (LBGs) in almost 35 countries make this dream come true everyday. BEST is formed by local BEST Groups (LBGs) and is connected by committees and the international board. The Local BEST Groups contribute to the organization and the promotion of learning events, cultural exchanges, workshops and other BEST events to the students in their universities.We are creating a well organized, powerful, young and innovative student network. BEST strives to help European students of technology to become more internationally minded by reaching a better understanding of European cultures and developing capacities to work on an international basis. Our core activity is to provide students with complementary education, bringing a significant added value to the education provided by the universities. Therefore we create opportunities for students to meet and learn from one another through our academic and non-academic courses and educational symposia. BEST strives to help European students of technology to become more internationally minded, by reaching a better understanding of European cultures and developing capacities to work on an international basis. Therefore we create opportunities for the students to meet and learn from one another through our academic and non-academic events and educational symposia. “Learning makes the master”, but the final goal is a good working place, therefore we offer services like an international career centre to broaden the horizons for the choice on the job market. Our priority is to offer high quality services for students all over Europe. “Learning makes the master”, but the final goal is a good working place, therefore we offer services like an international career centre to broaden the horizons for the choice on the job market. 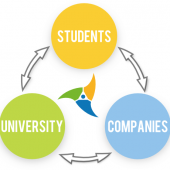 Our priority is to offer high quality services for students all over Europe.BEST lays at the heart of the triangle Students-Companies-Universities. We bring these stakeholders together, through different projects all over the year and all around Europe.